Newly donated documents at the Dorset History Centre show the growth of a Dorset garden centre - and how it may have been the first in Britain. Stewarts Garden Centre in Ferndown opened in 1955 after its owner went searching for ideas to save his then floundering small nursery business. Edward Stewart ended up in Toronto where he wrote home to say how he had seen the future - garden centres. What he saw led to the development of the garden centres we know today. 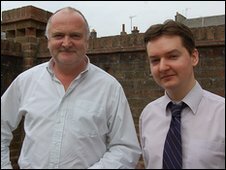 Recently Martin donated all of the family's business records to the Dorset History Centre. Stuart Tyler from the Dorset History Centre said: "We were thrilled to have this collection, as business records are generally under represented [in archive collections]. "These are the building blocks of social and economic history in Dorset for the time. "One family has run the same business over a long period which is remarkable in itself, but there is also the kudos of having the link to Britain's first garden centre." Martin Stewart, managing director of Stewarts Garden Centre in Ferndown, and the son of Edward, explained how the garden centre came about. He said: "Our business was on its knees and we had to find a solution. "[It was the effect of] two World Wars - we had plants taken away to go on factory roofs [to disguise them from enemy aircraft] and we were really struggling." So his father flew himself to America and onto Toronto. Martin said: "He wrote to his three sisters, and he said he'd seen the future, and explained why nursery men don't make good salesman and vice versa. "We've still got the letter and now it's at the Dorset History Centre." When Edward returned, in 1954, they converted the nursery business's old potting shed and built Britain's first garden centre. 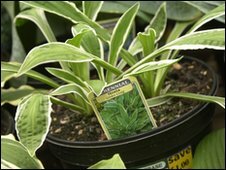 Martin has continued in a long line of Stewarts in the business of growing and selling plants. Charles Stewart, Martin's Great, Great, Great Grandfather, was a plantsman in 18th Century Scotland, growing forestry trees as early as 1742. One of Charles two grandsons, David, moved to Ferndown in 1859 to begin a branch nursery. He chose Dorset as he had heard it had the mildest climate, and David's four sons, including Edward, continued in the family business. With the business doing well again, the family opened a second shop in Christchurch in 1961. This was built on a green field site and Martin believes it was the first example of an out of town retailer, complete with coffee shop - an innovative idea for the time. It also used another new idea never seen before - selling container plants. Martin said: "To make the shop work, he had to bring in container plants to sell. "So [Edward] has been credited with introducing a new way of selling plants, which changed the whole horticultural industry. "It was about separating the growing from the retail, by selling plants grown in containers. "By leaving the root system untouched, plants could be transported 12 months a year. "And the idea of garden centres couldn't work unless you could sell plants all the year round." 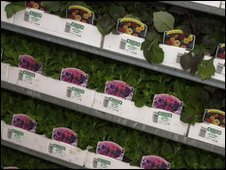 "Before this, plants could only be sold between October to March each year."